Two people are dead after a fire broke out inside a two-storey home on Villa Nova Drive in Dominion, N.S., on Saturday. Two people were killed Saturday in Dominion, N.S, after a fire broke inside a two-storey home. Deputy Chief Chris March of the CBRM fire department said that the Dominion Fire Department arrived at the scene at noon. It took firefighters more than two hours to get the fire under control. Glace Bay's fire department was also on the scene to assist. 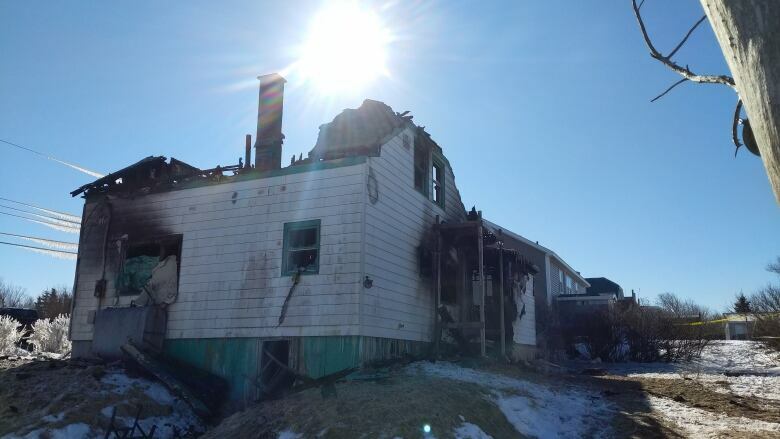 In a press release Saturday evening, Cape Breton Regional Police said the home on Villa Nova Drive was engulfed in flames when officers arrived at the scene at 12:36 p.m. It was determined at the time that two people were inside the home. Two women, ages 51 and 83, were found dead inside the residence. Their identities have not been released. A third person was able to escape the fire without injury.